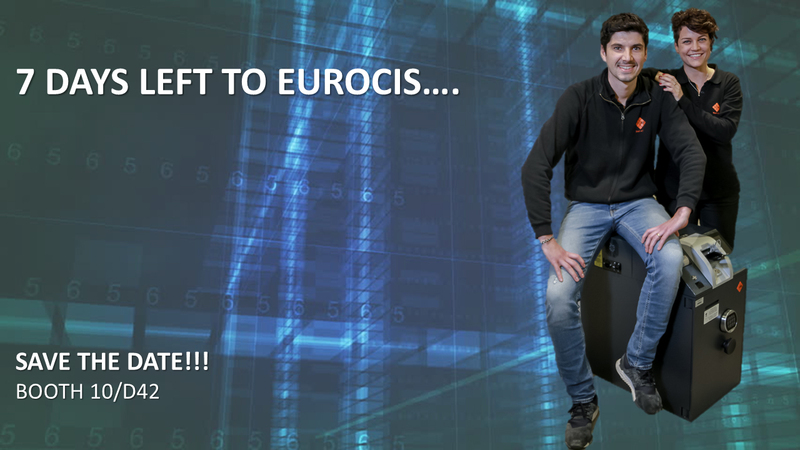 EuroCIS has closed its doors. 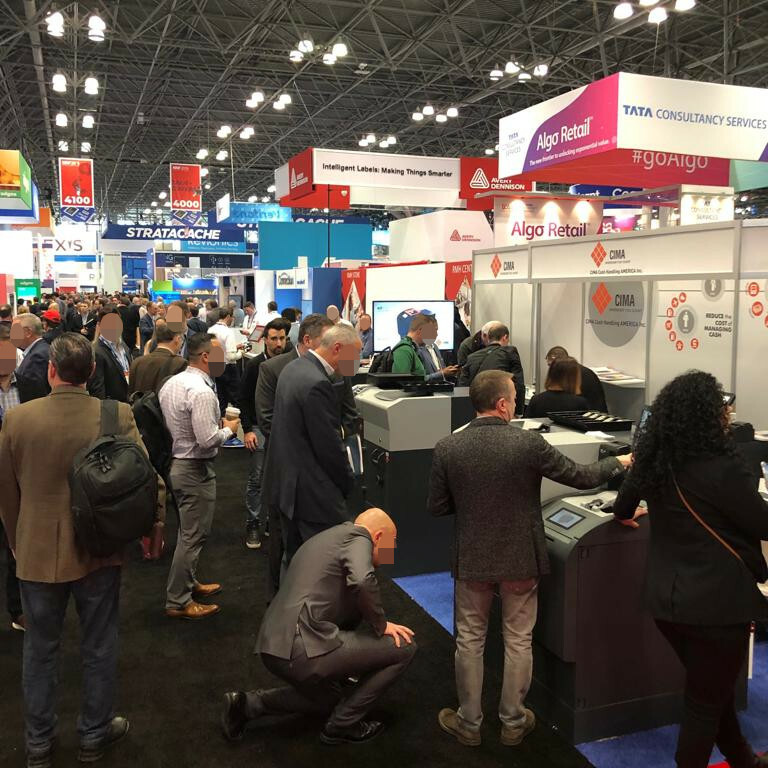 We thank you all for the extraordinary attendance. 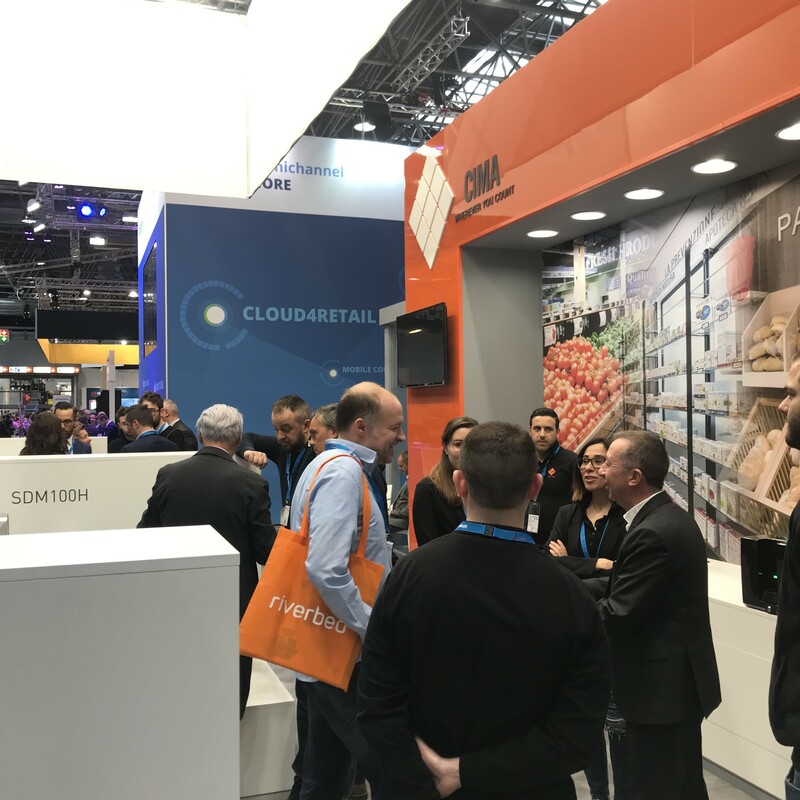 The date is set for next year (EuroShop 16-20 February 2020). 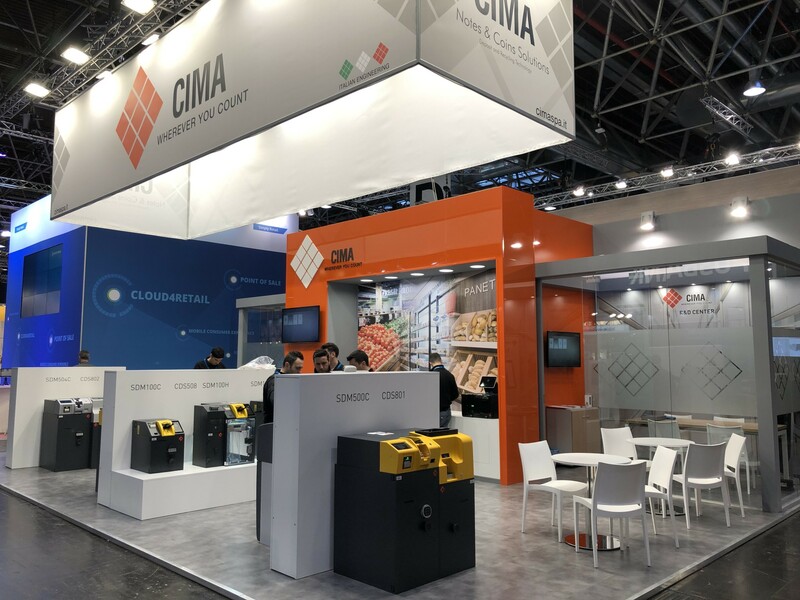 We are waiting for you at Booth #10/D42! 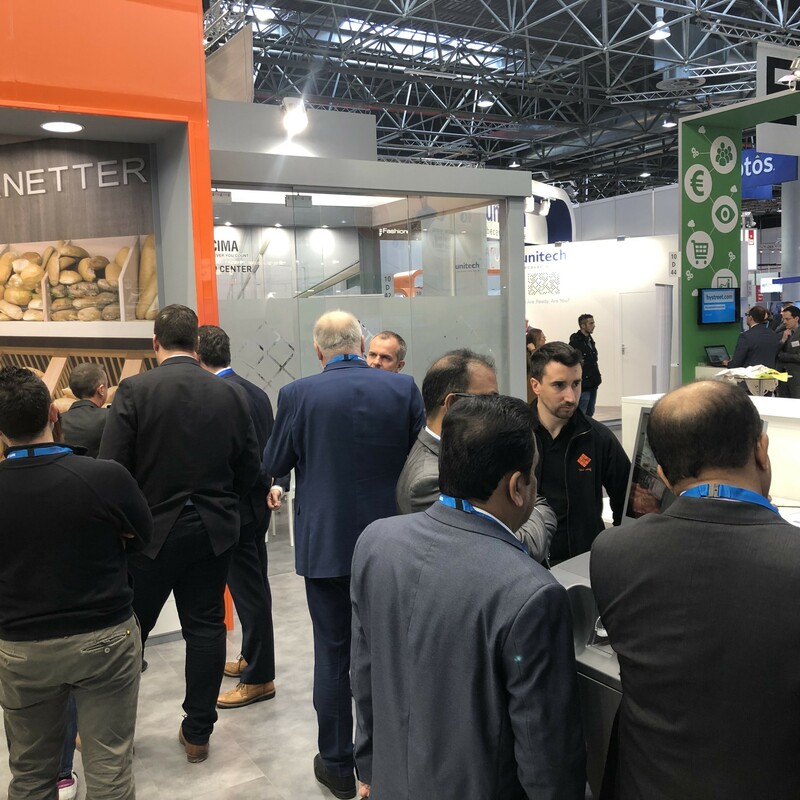 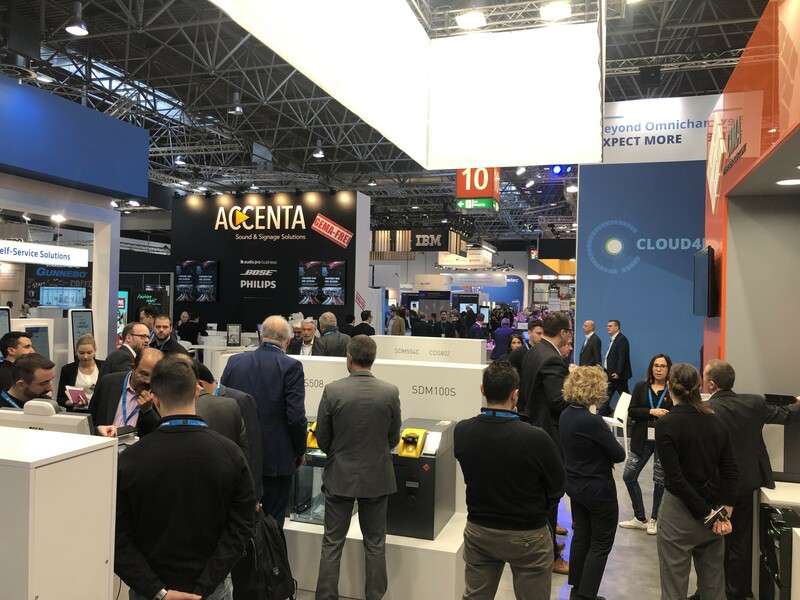 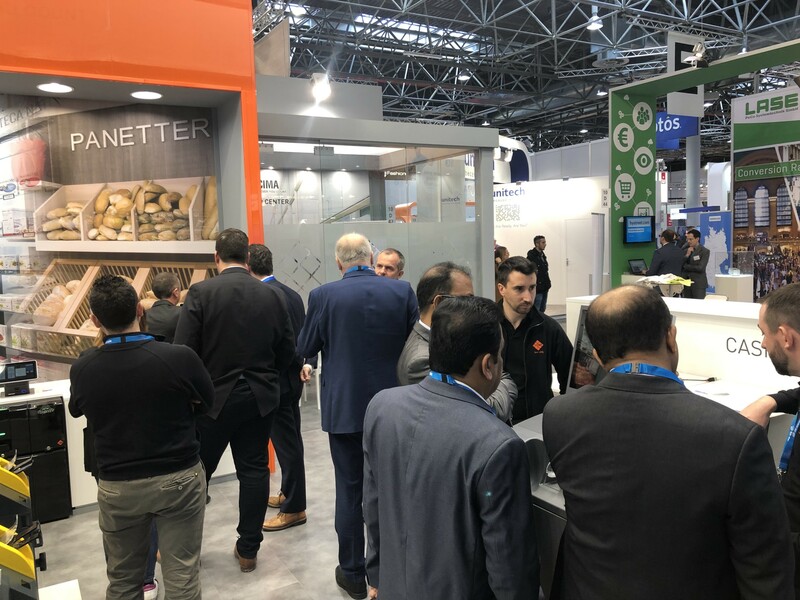 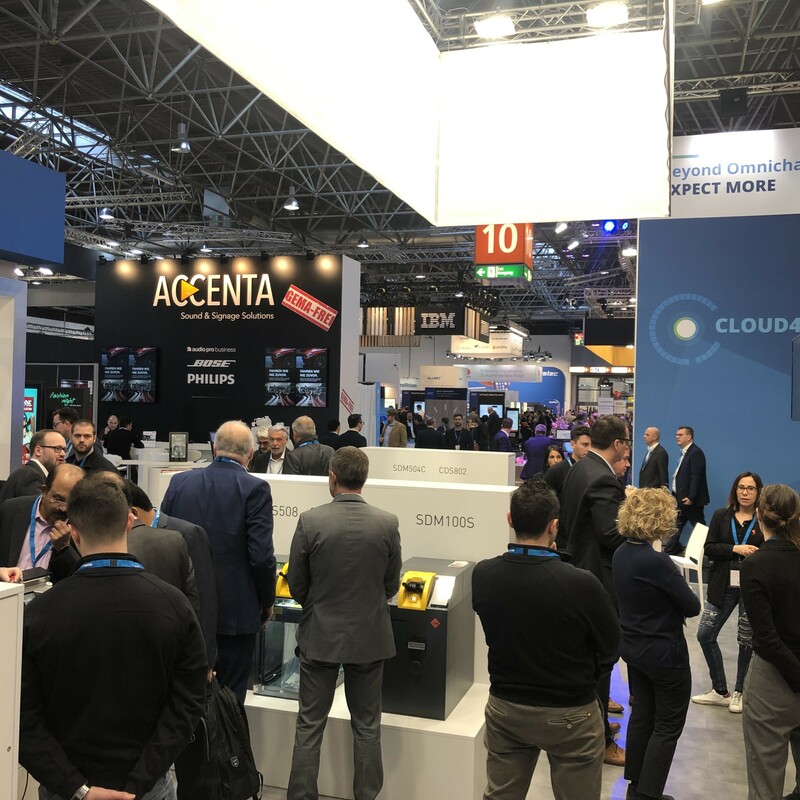 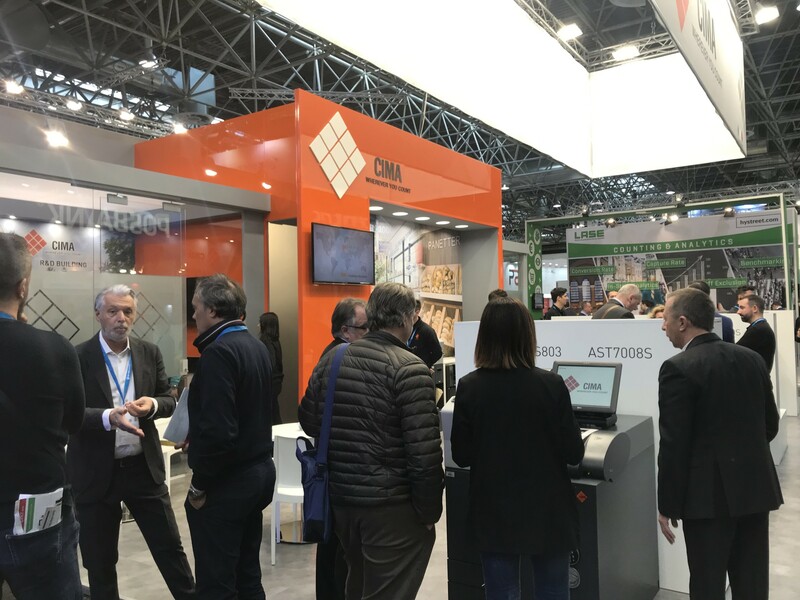 Large attendance and warm participation at EuroCIS! 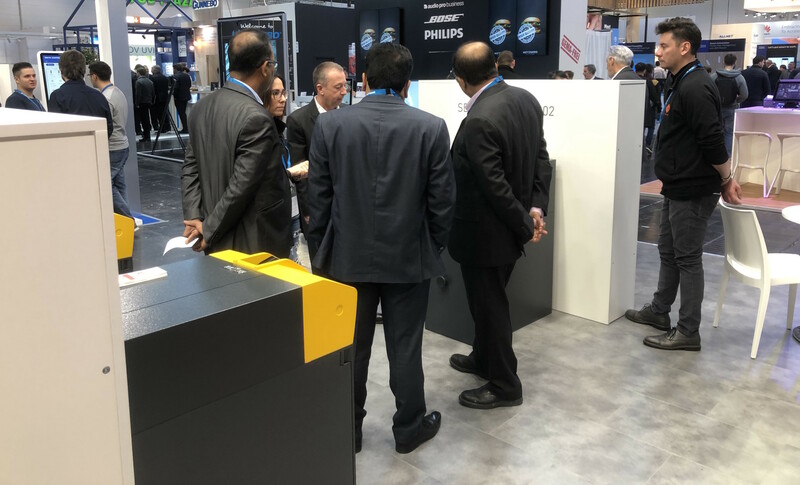 Our visitors are appreciating the new proposed solutions. 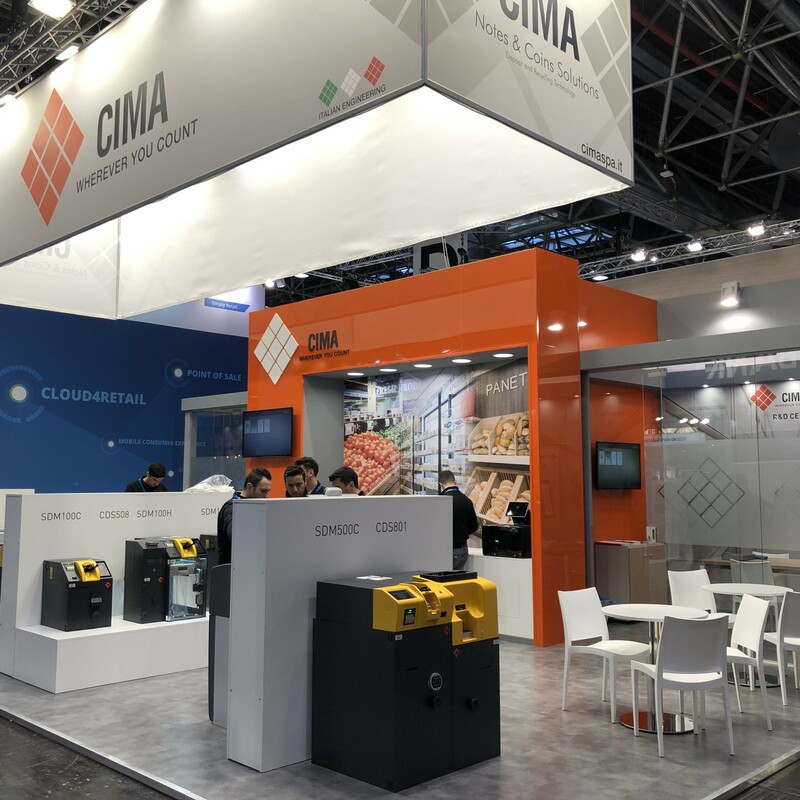 Join us at Booth #10/D42! 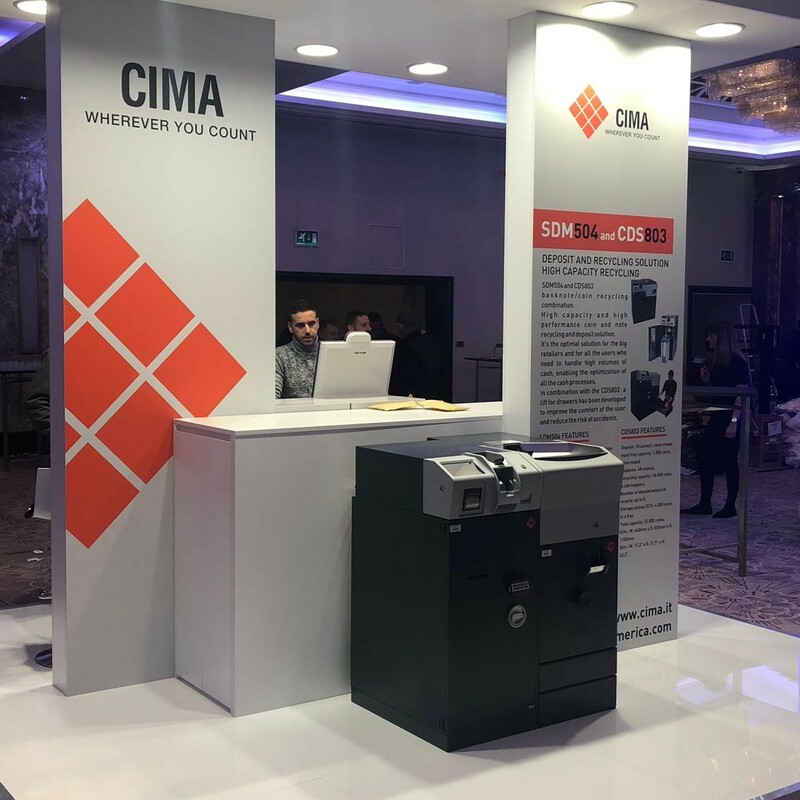 Some shots from the event. 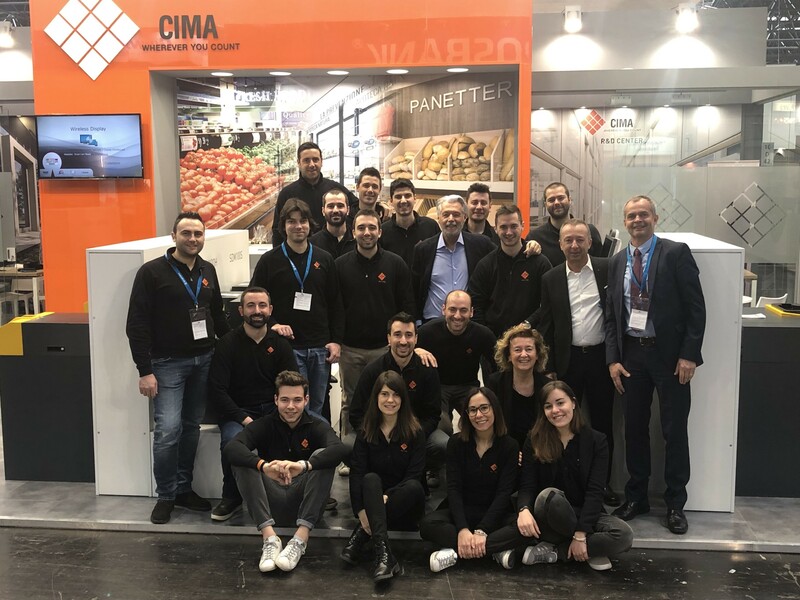 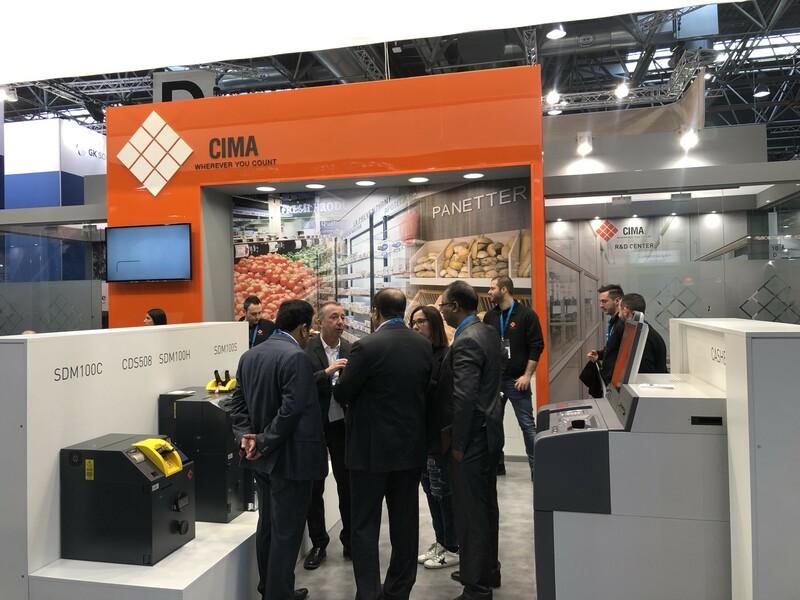 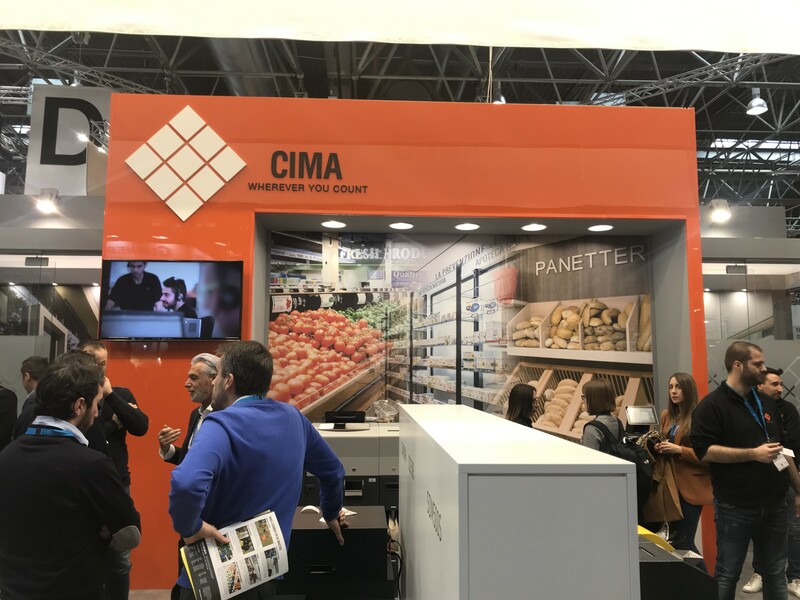 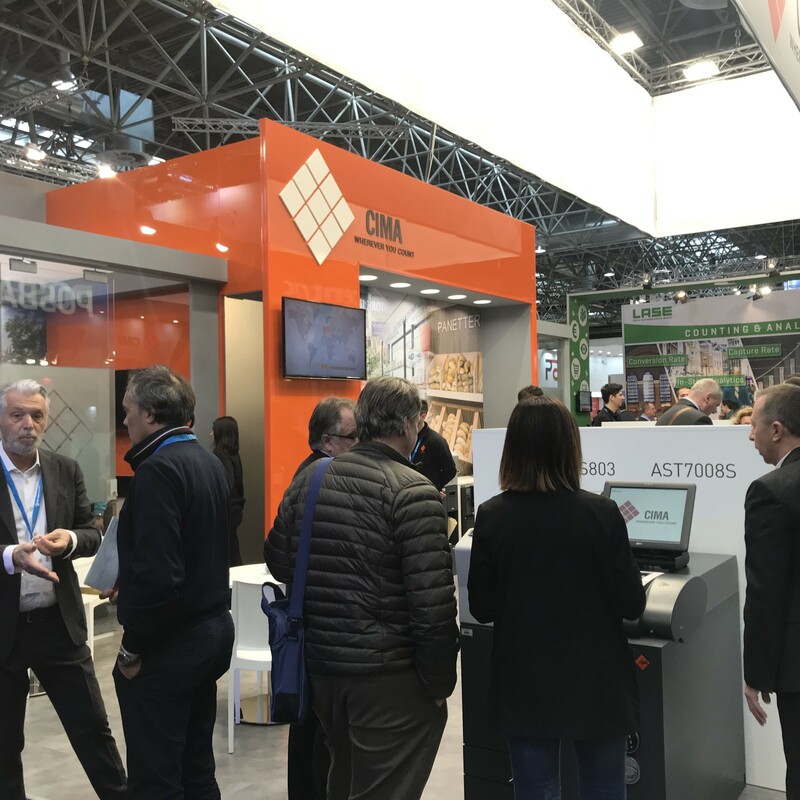 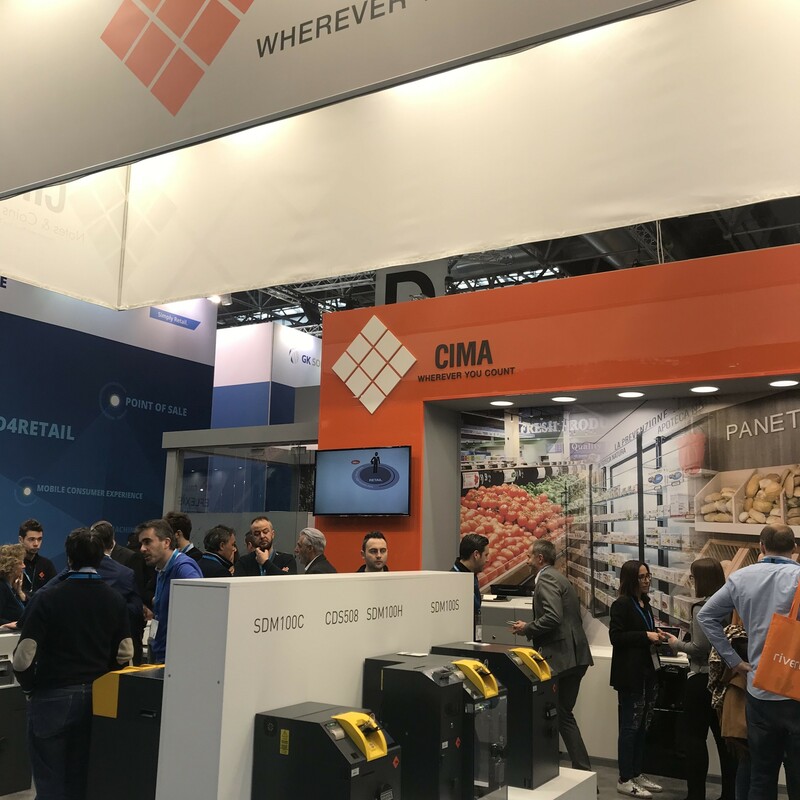 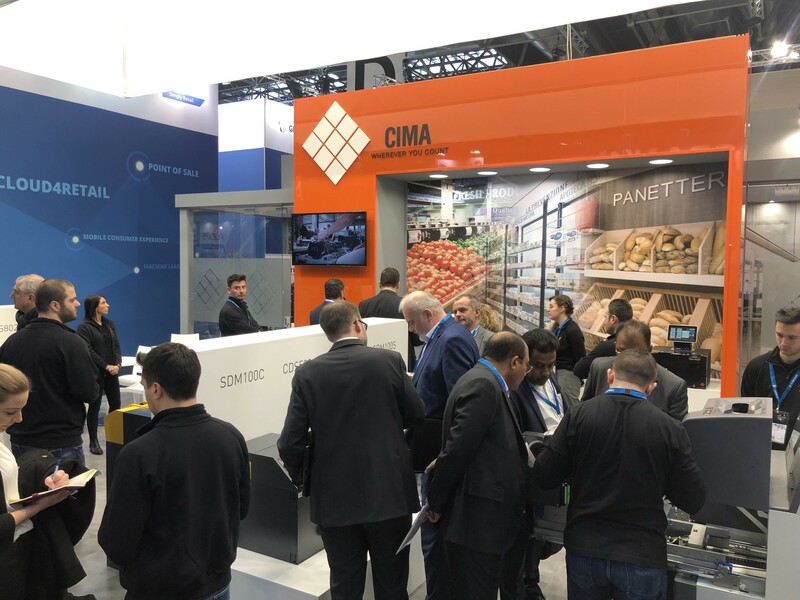 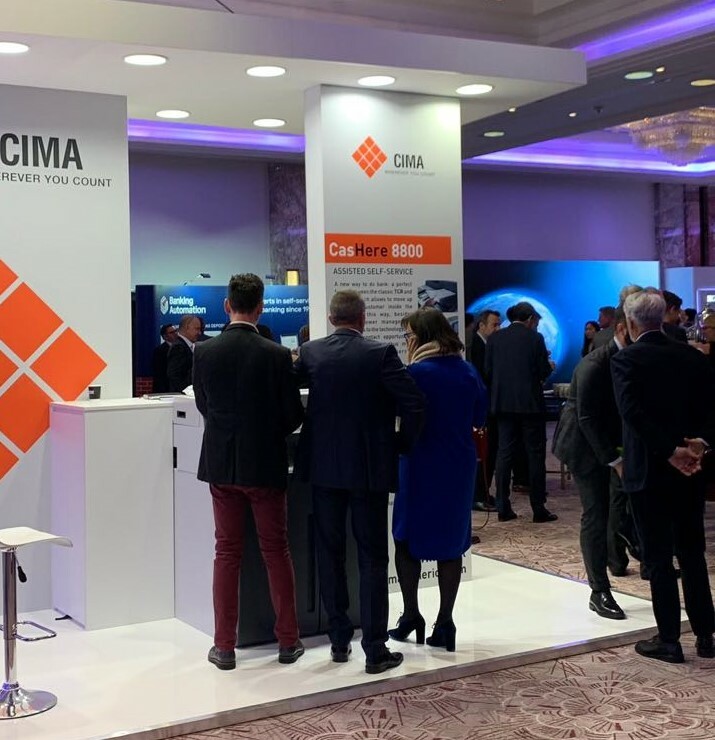 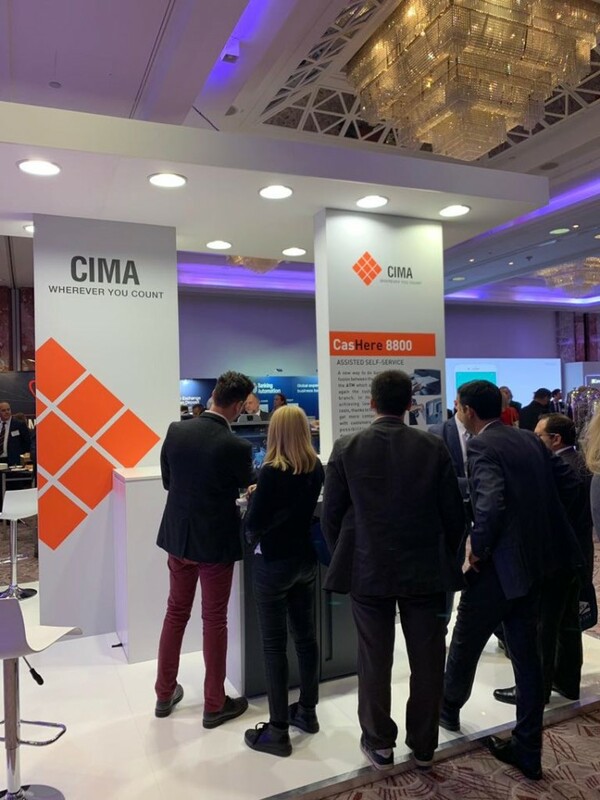 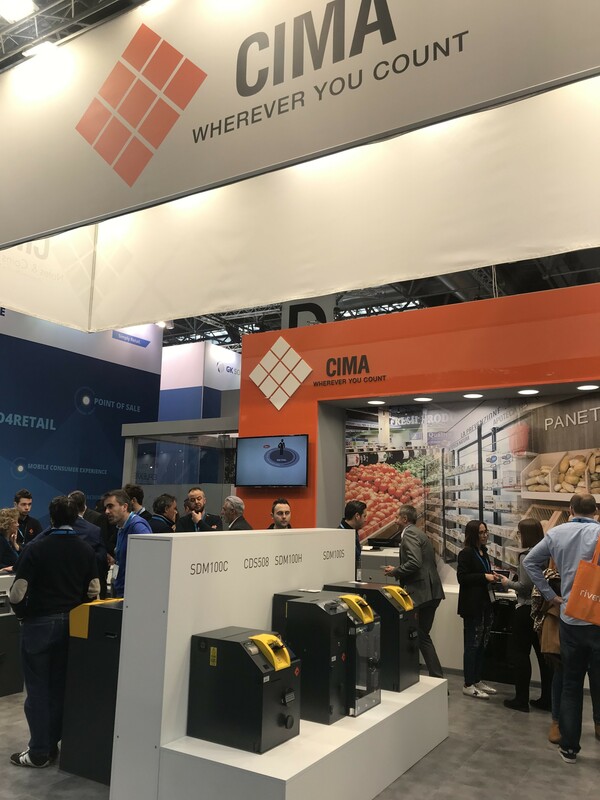 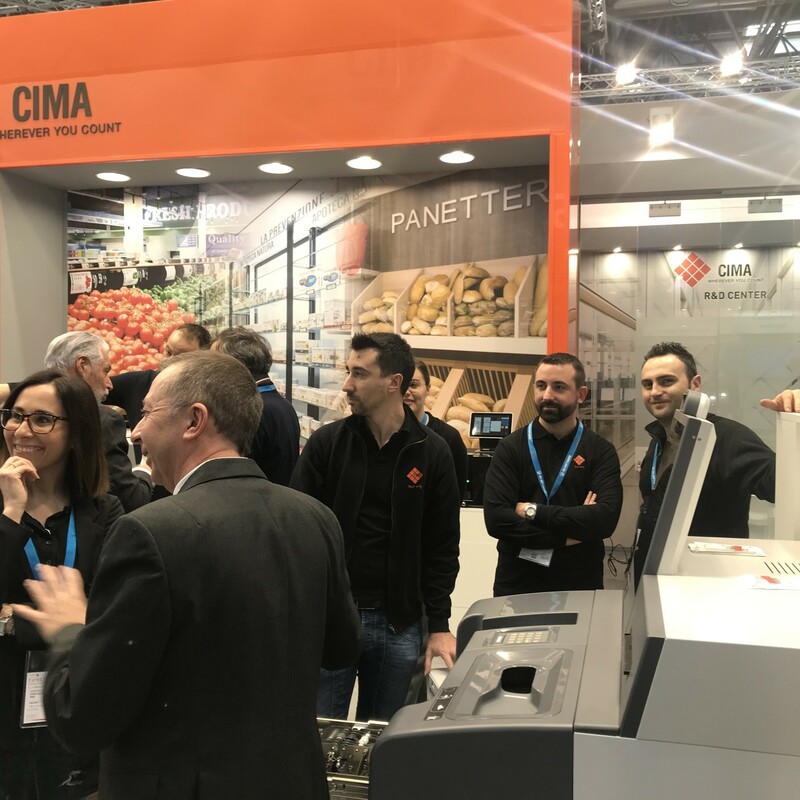 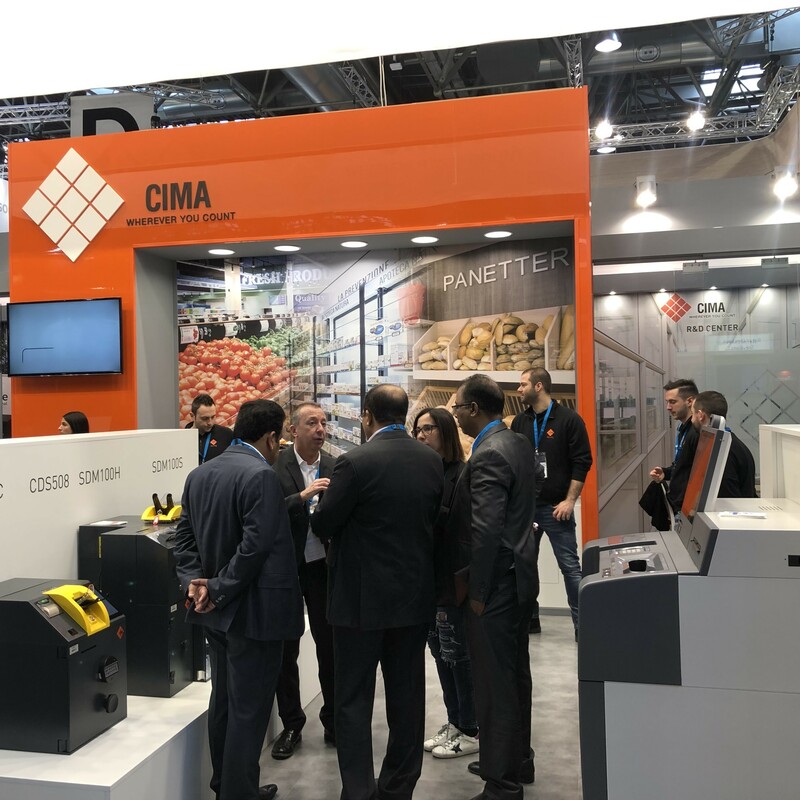 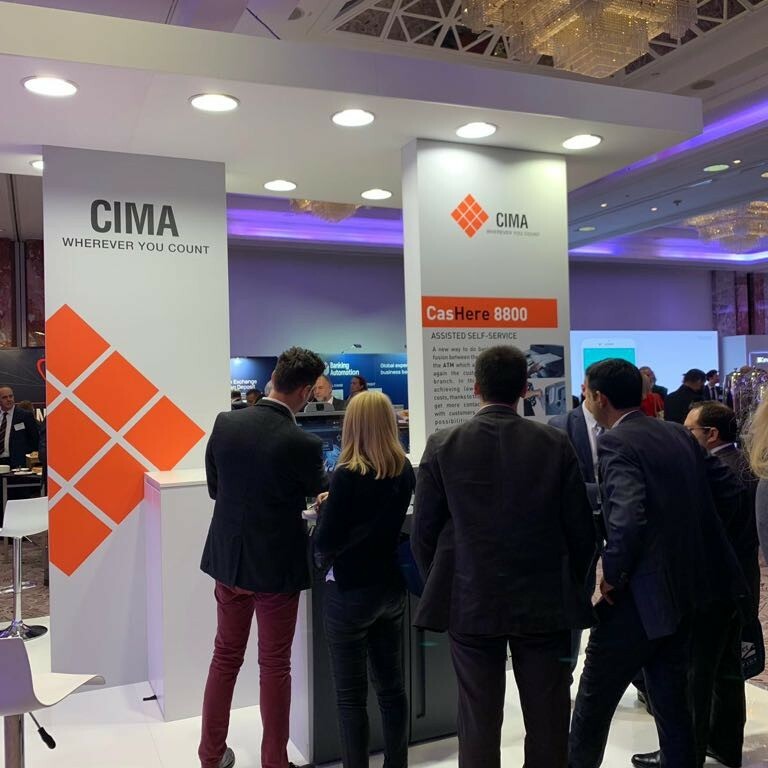 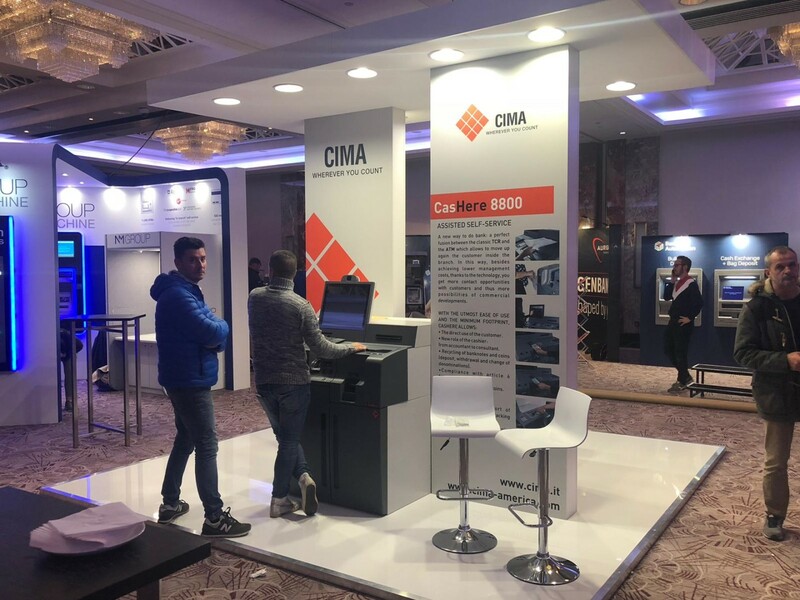 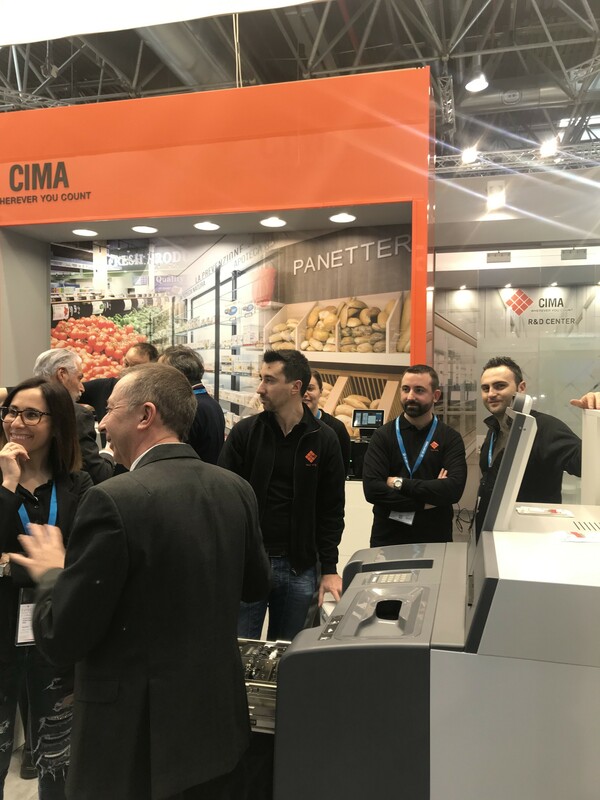 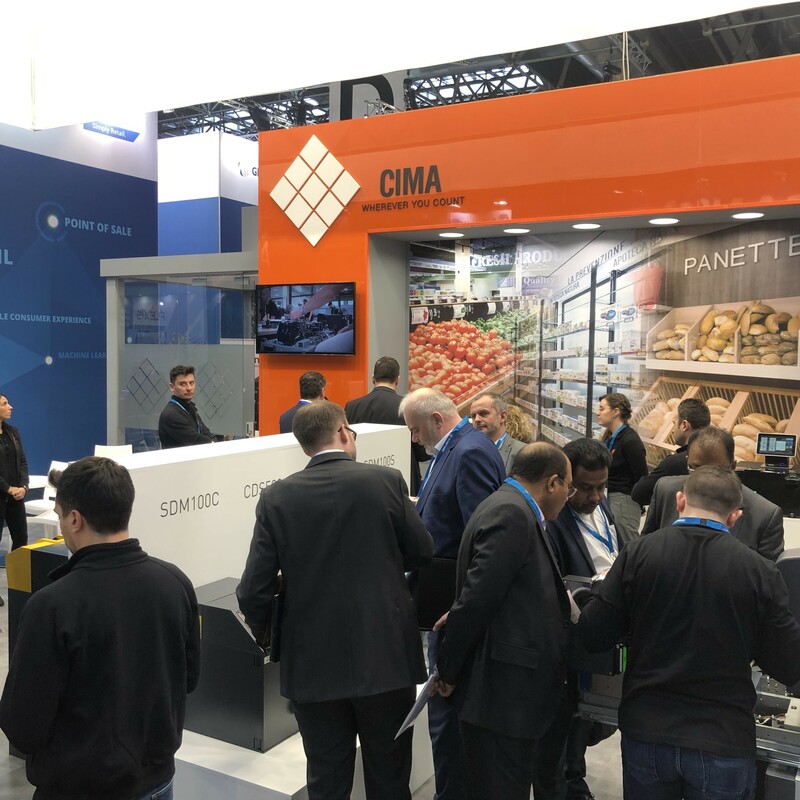 CIMA will present its solutions for the retail at EuroCIS 2019. 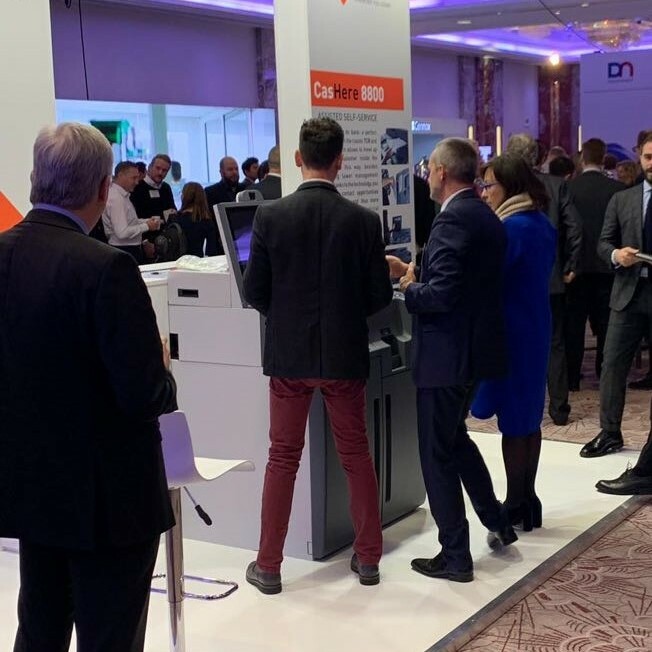 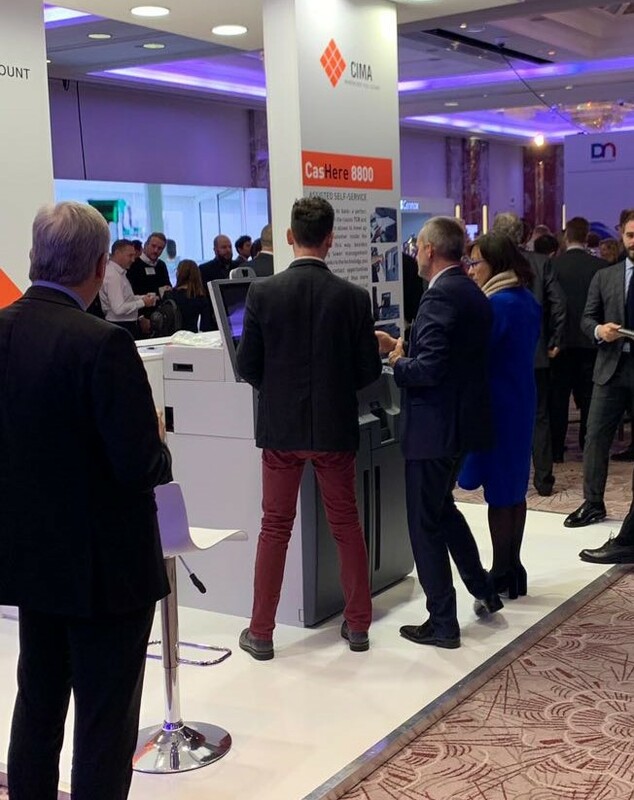 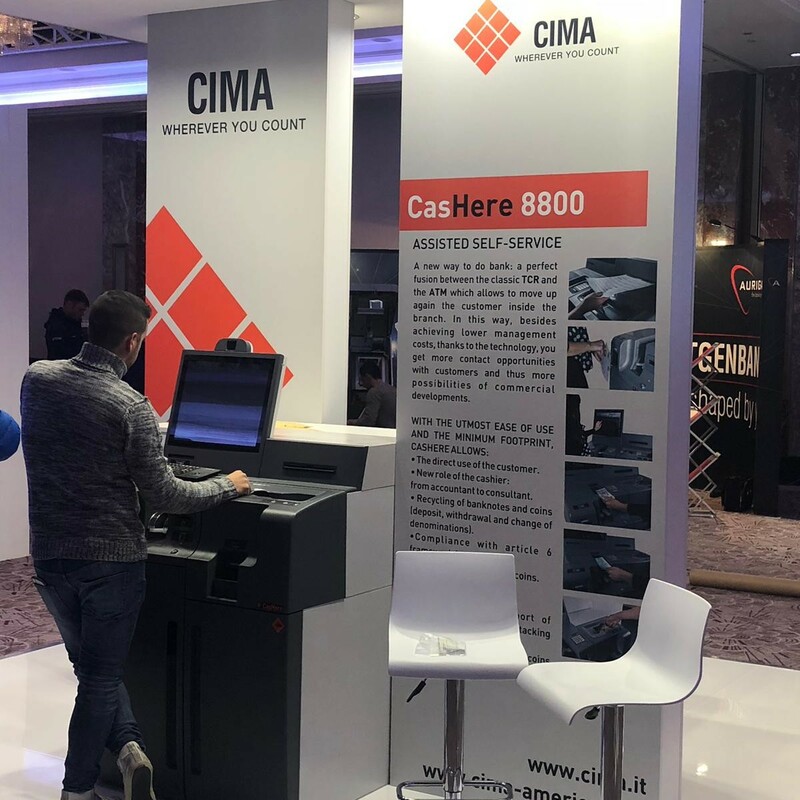 Our staff, from 19 to 21 of February, will be glad to show you our new projects for an innovative and efficient cash handling. 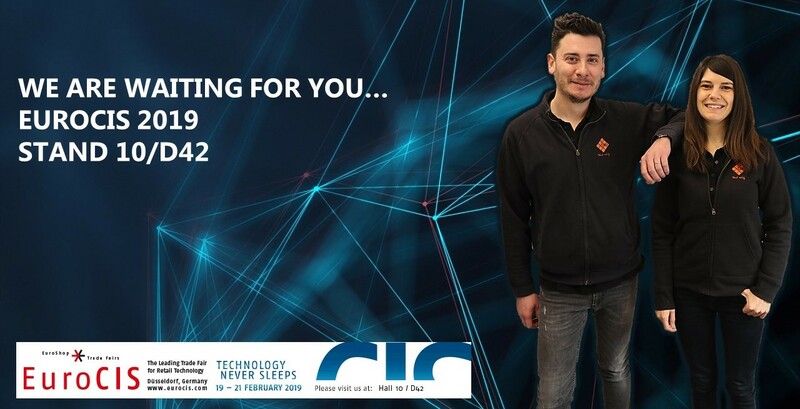 See you at Booth #10/D42! 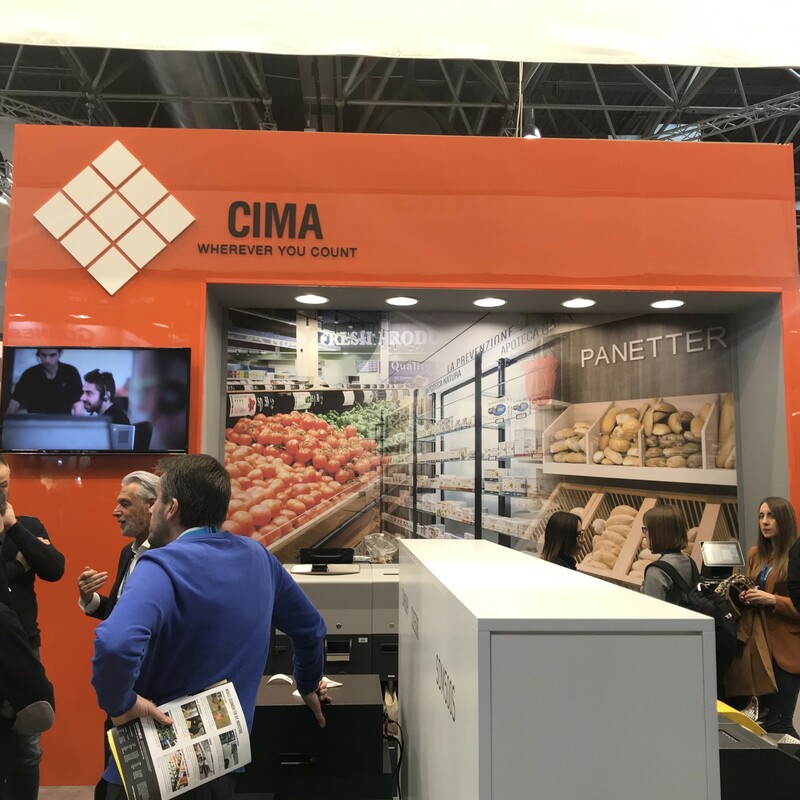 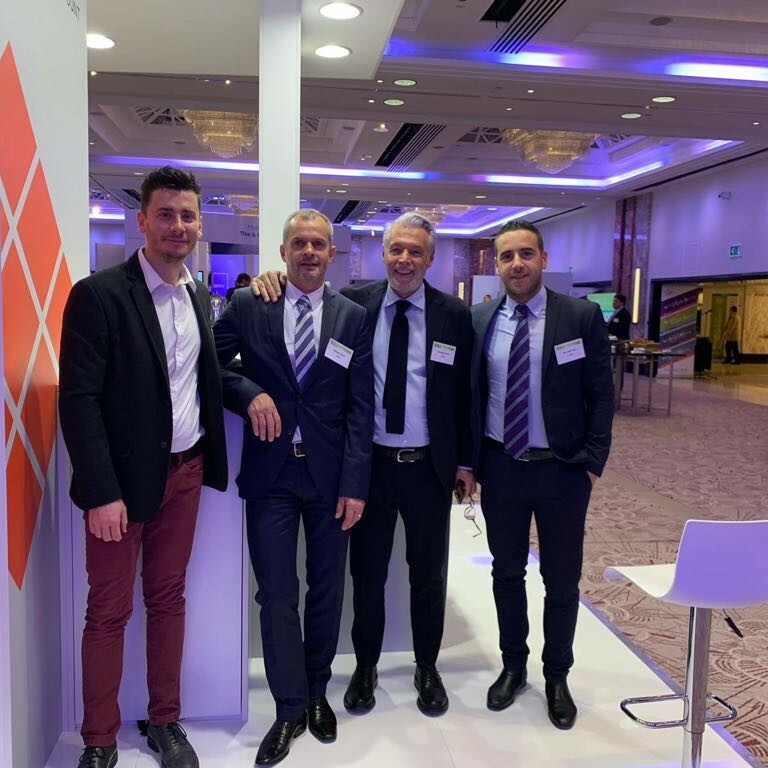 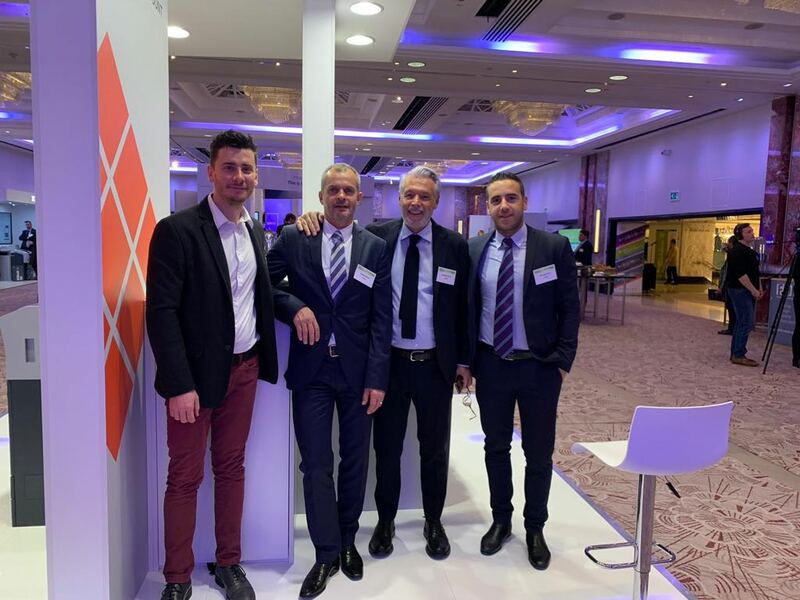 CIMA will be at TRESMER EXPO19, where we will show you our solutions for the retail. 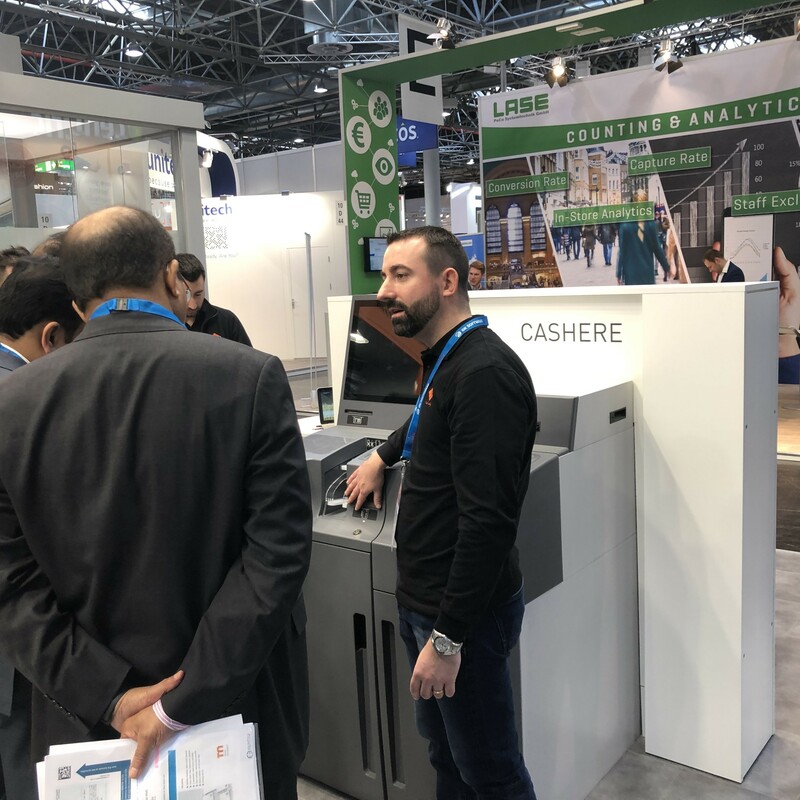 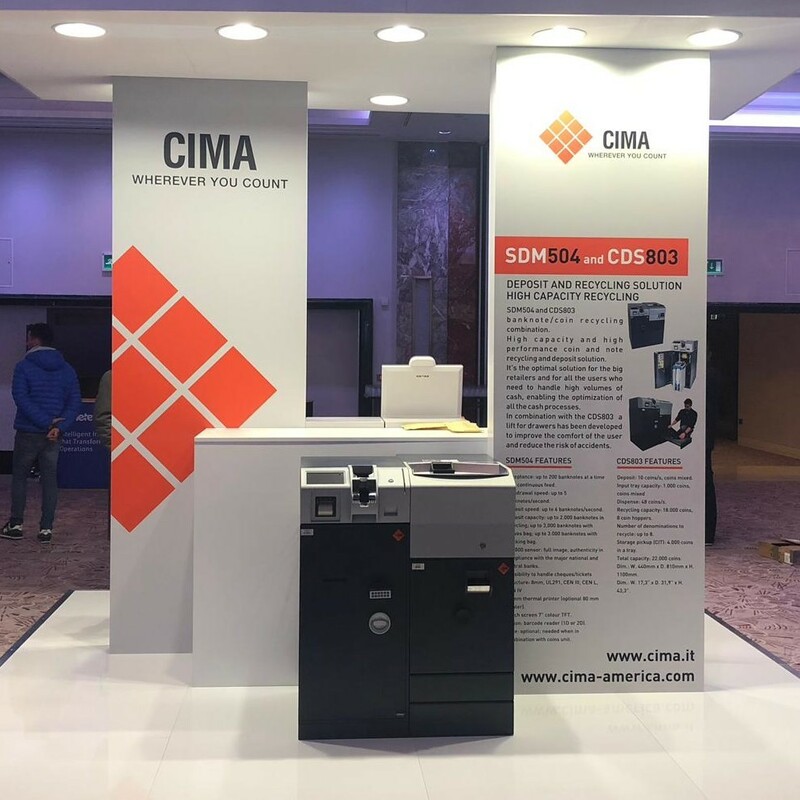 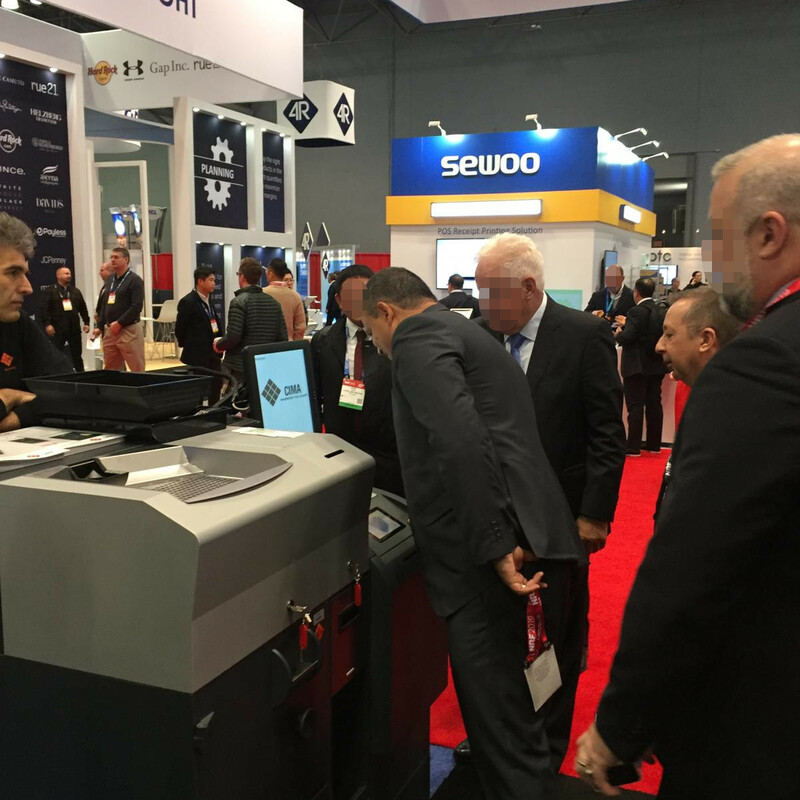 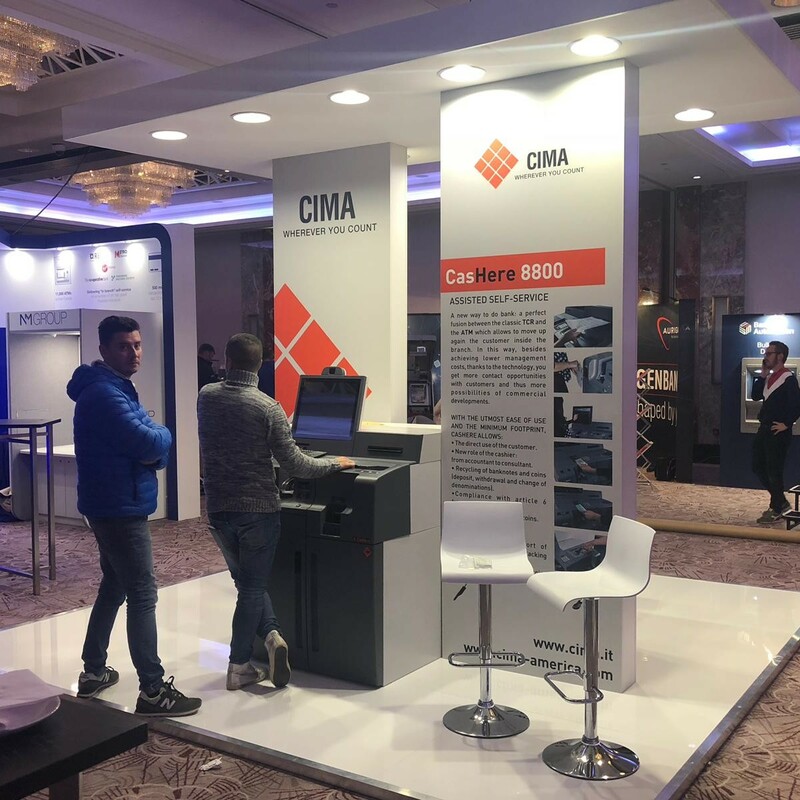 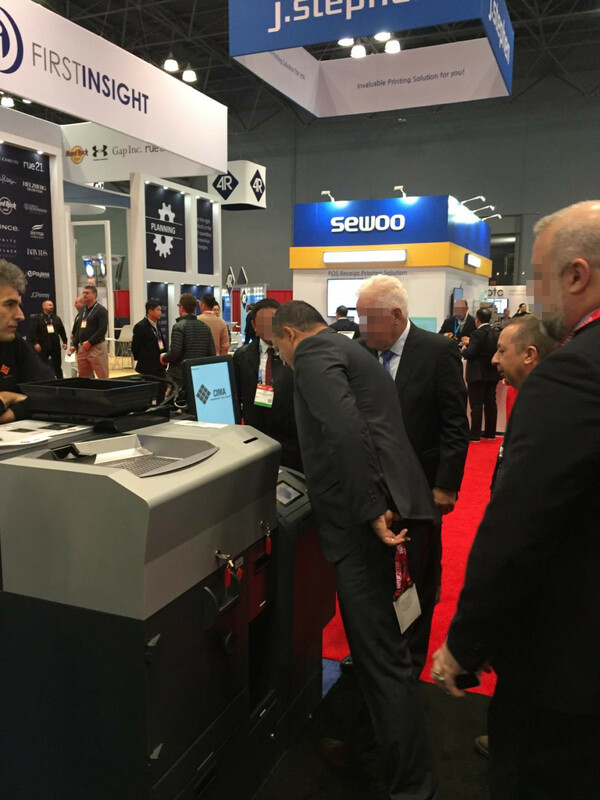 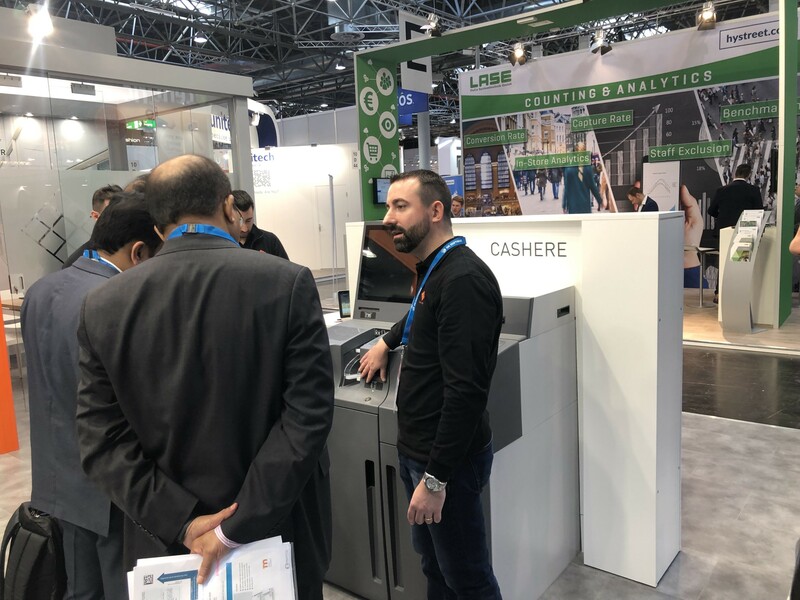 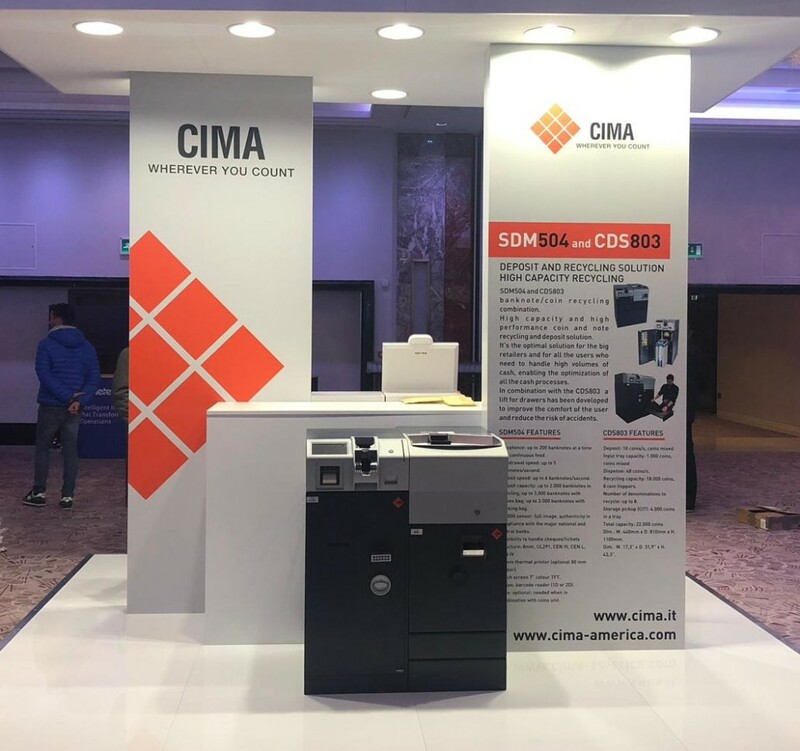 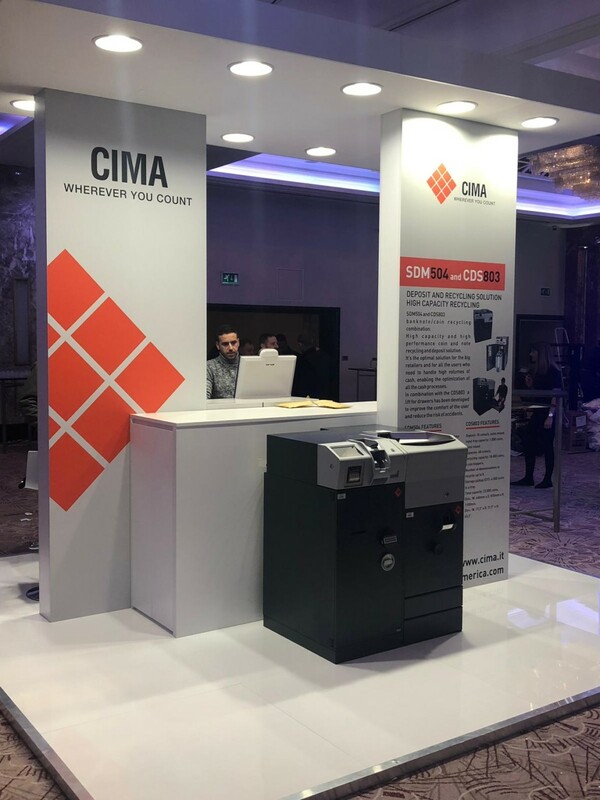 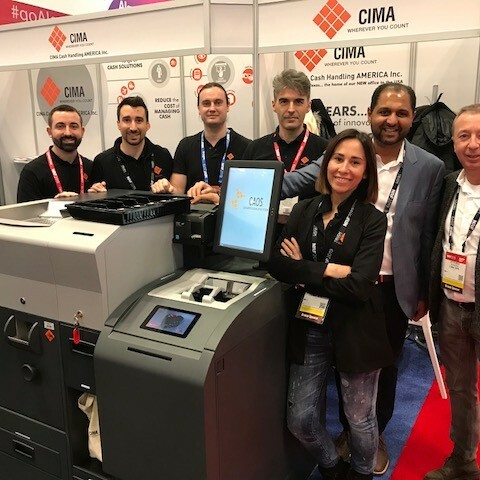 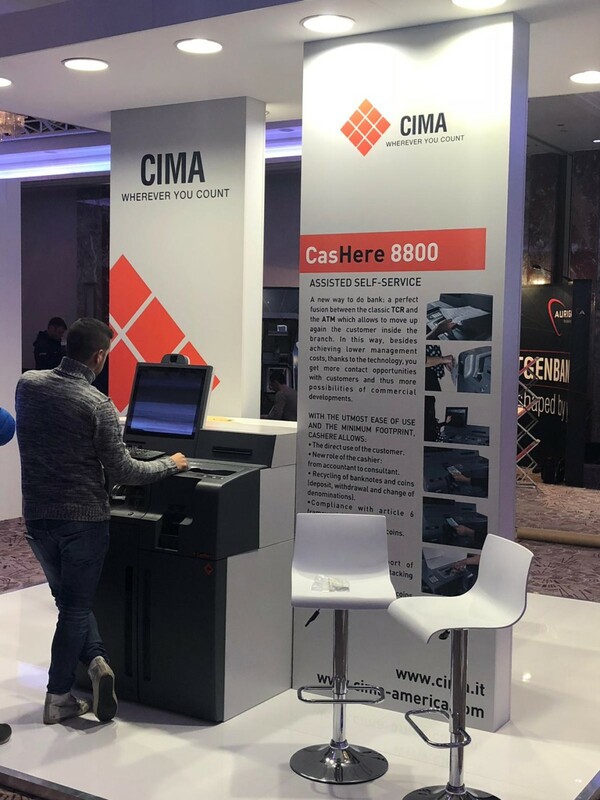 Our team is waiting for you at our booth #4164, level 3, to show you our new TCR AST9000 as well as the new coin units for the American market and to introduce you the managers of CIMA Cash Handling America. 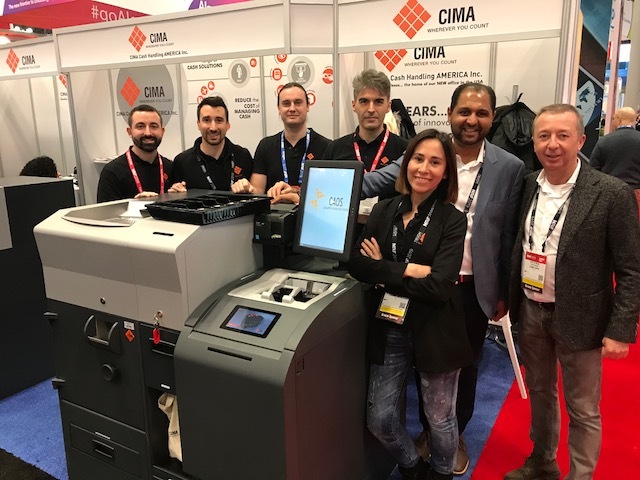 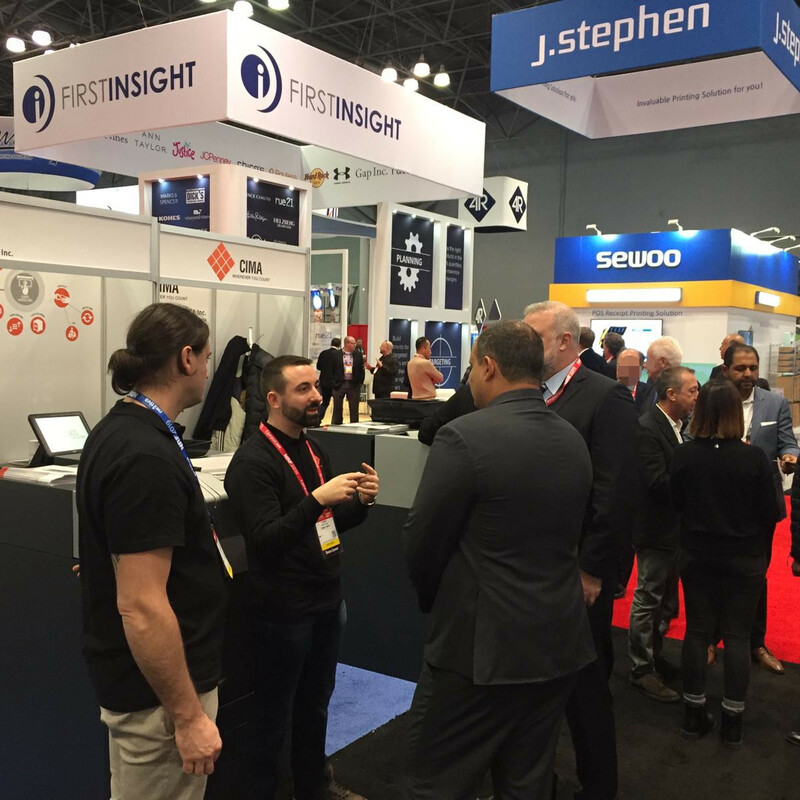 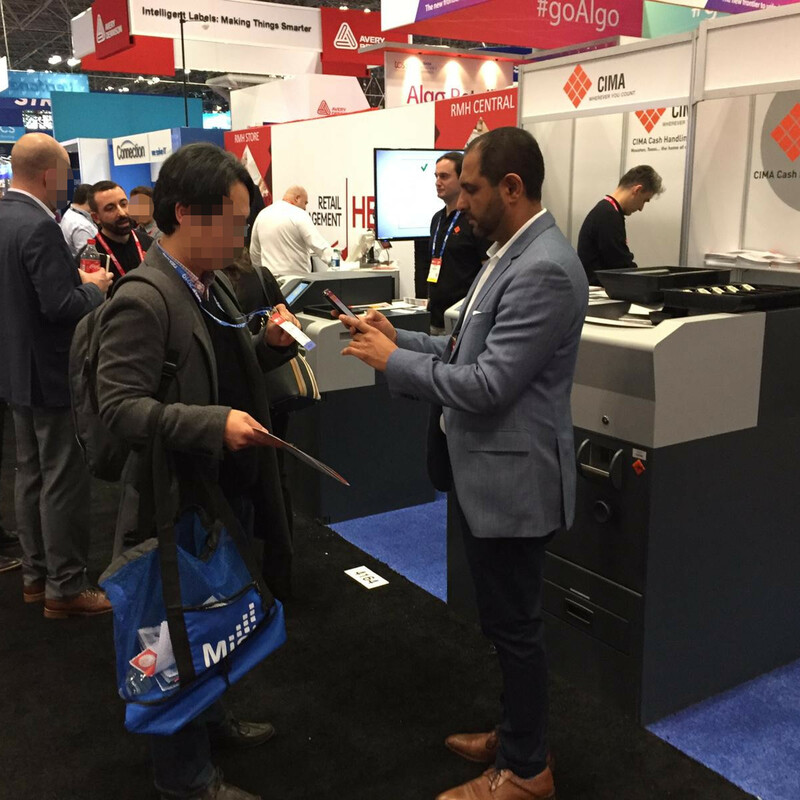 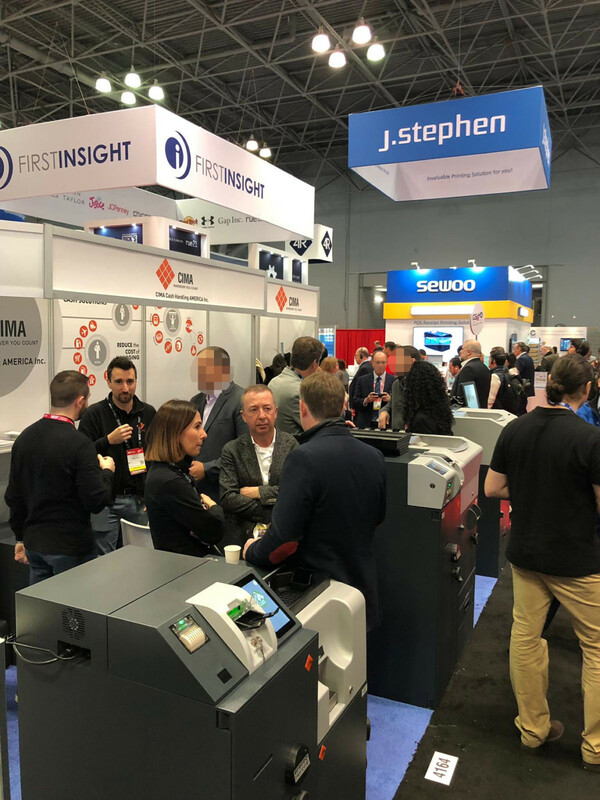 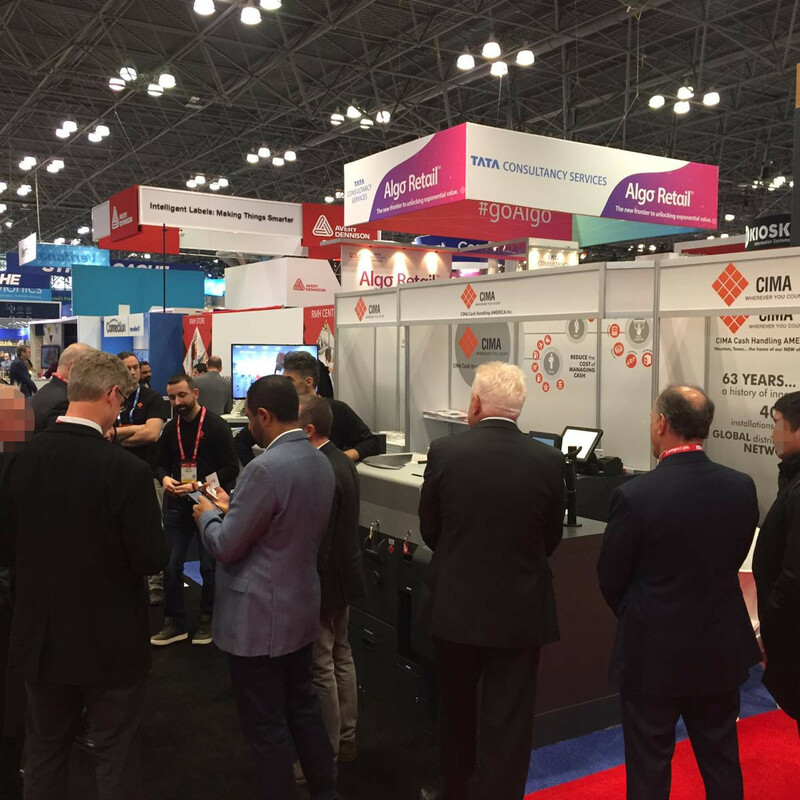 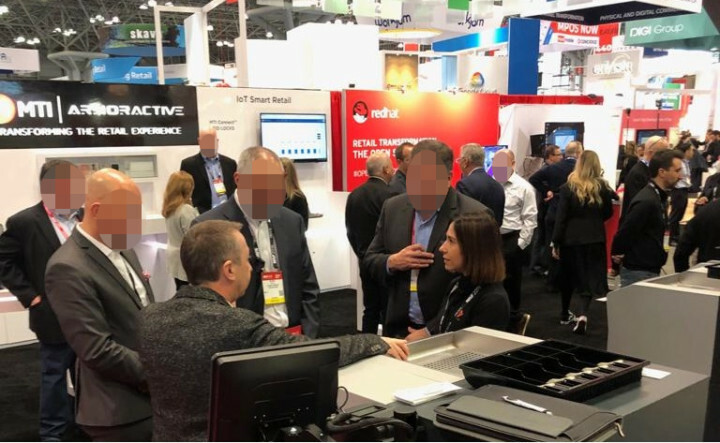 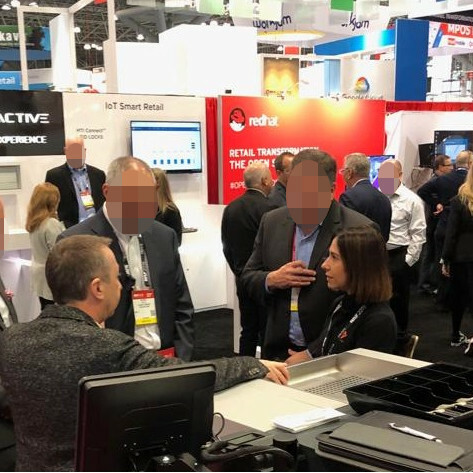 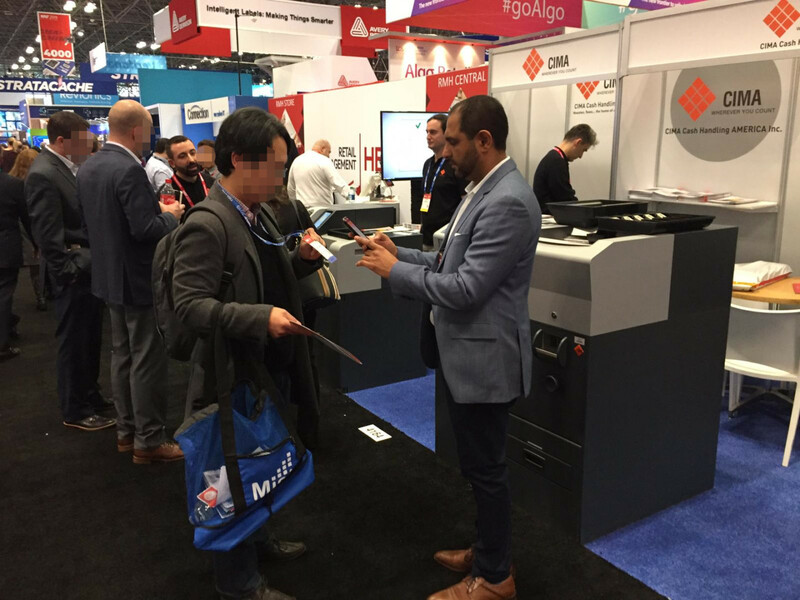 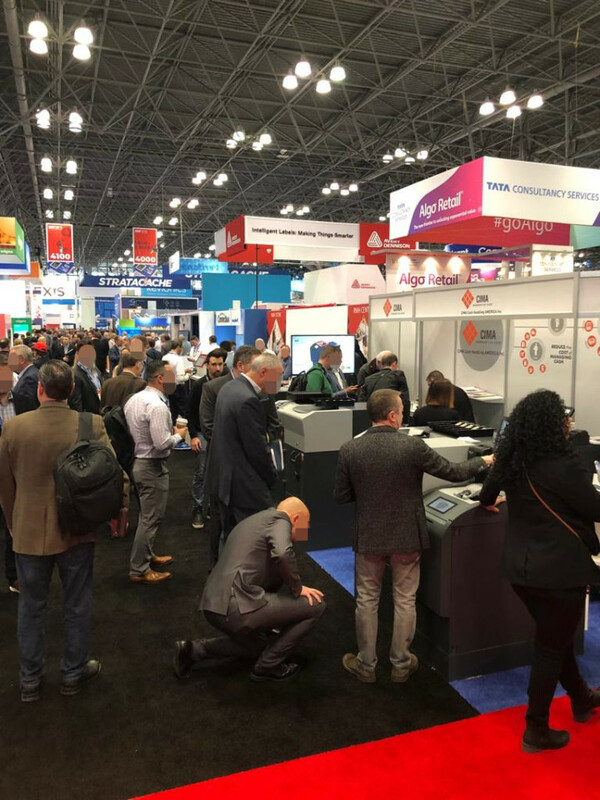 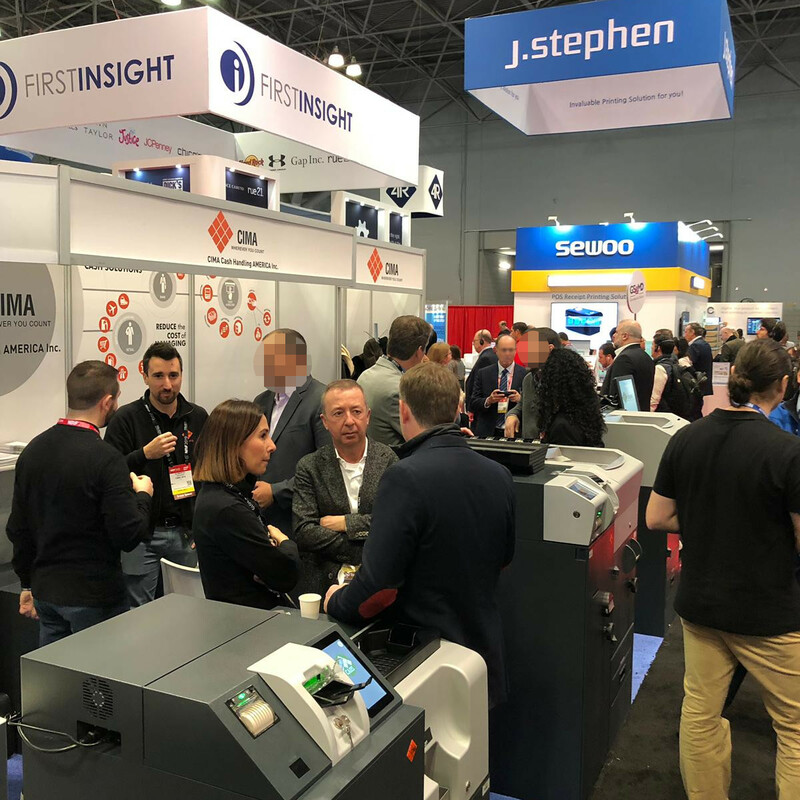 CIMA is, once again, proud to be an exhibitor and sponsor of NRF, Retail’s Big Show in New York City from January 13-15, 2019. 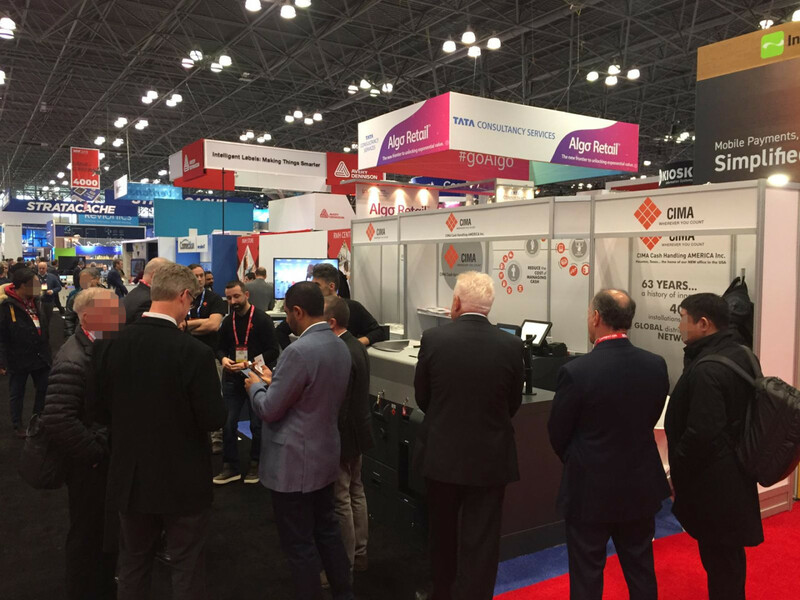 This is a special year for us at NRF as we will be officially announcing the establishment of our US subsidiary office based in Houston AND the unveiling of four new exciting cash handling solutions just for the US market. 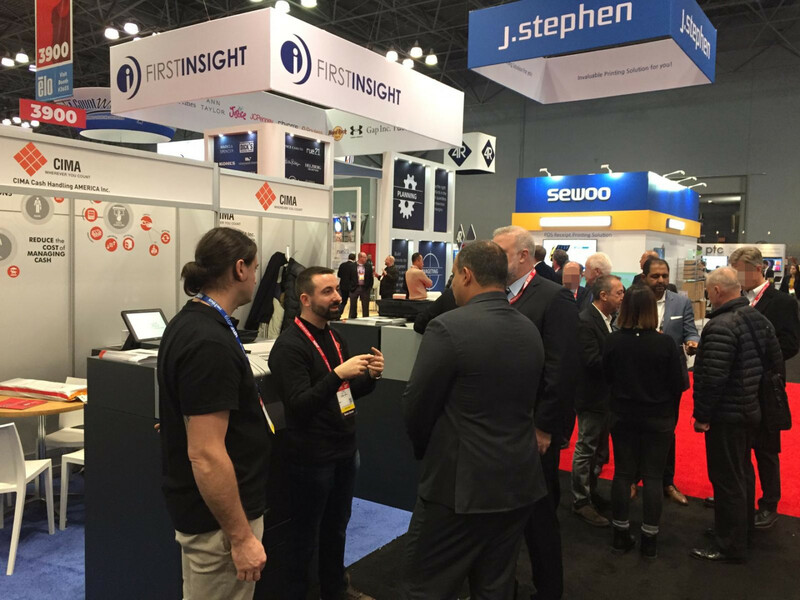 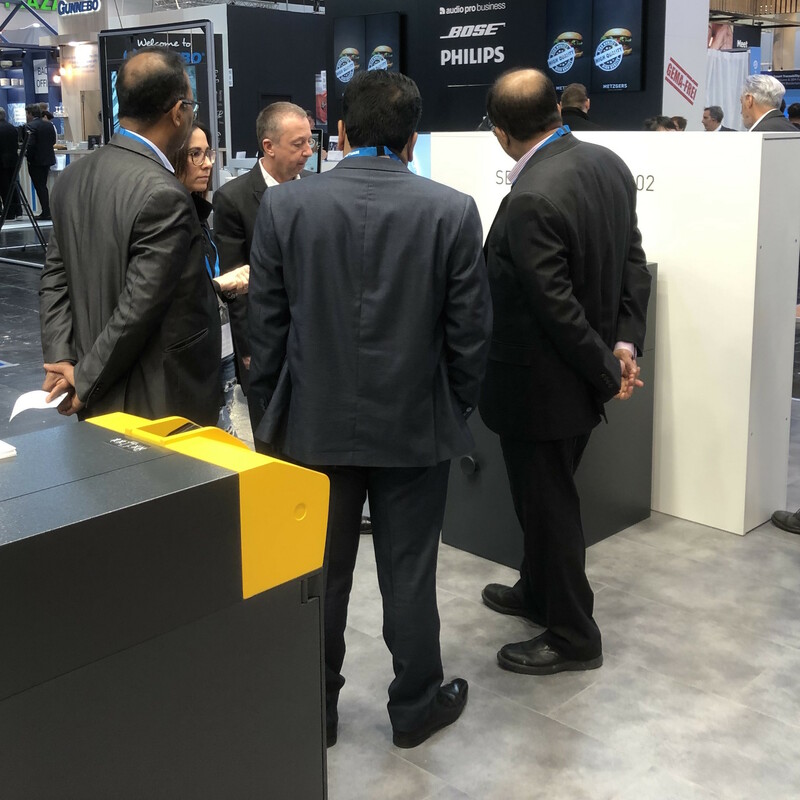 Our Engineering team, CEO and US Vice President look forward to meeting retailers and partners at Booth 4164, Level 3. 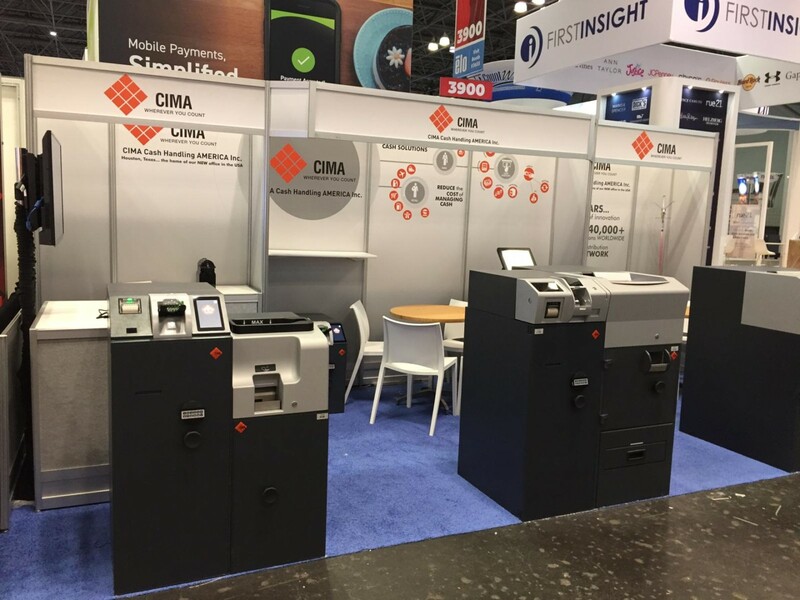 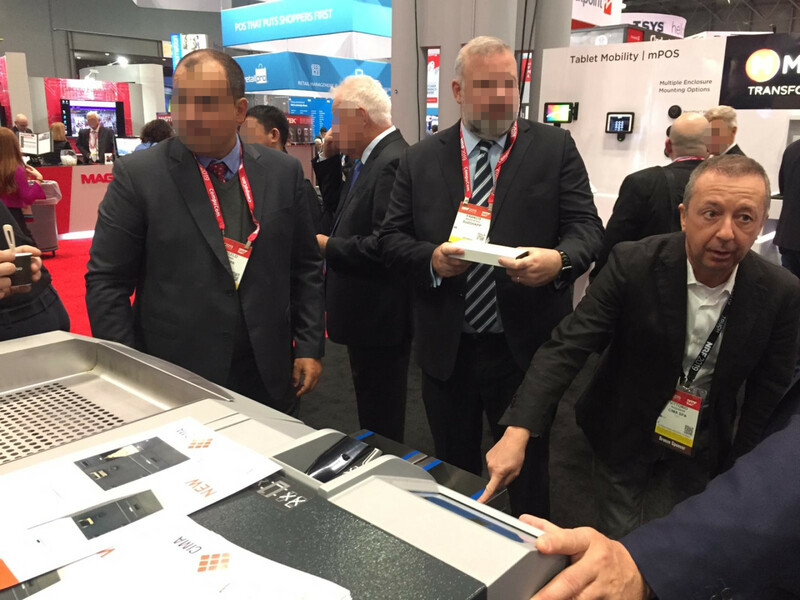 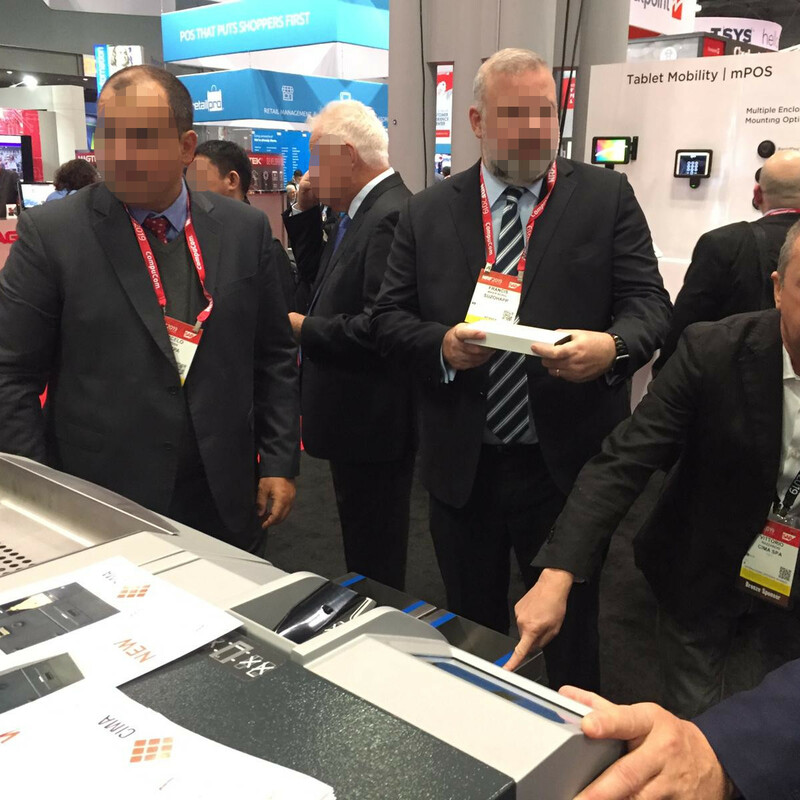 CIMA SPA and CIMA Cash Handling America will present to the retail Big Show the new developments for the US market. 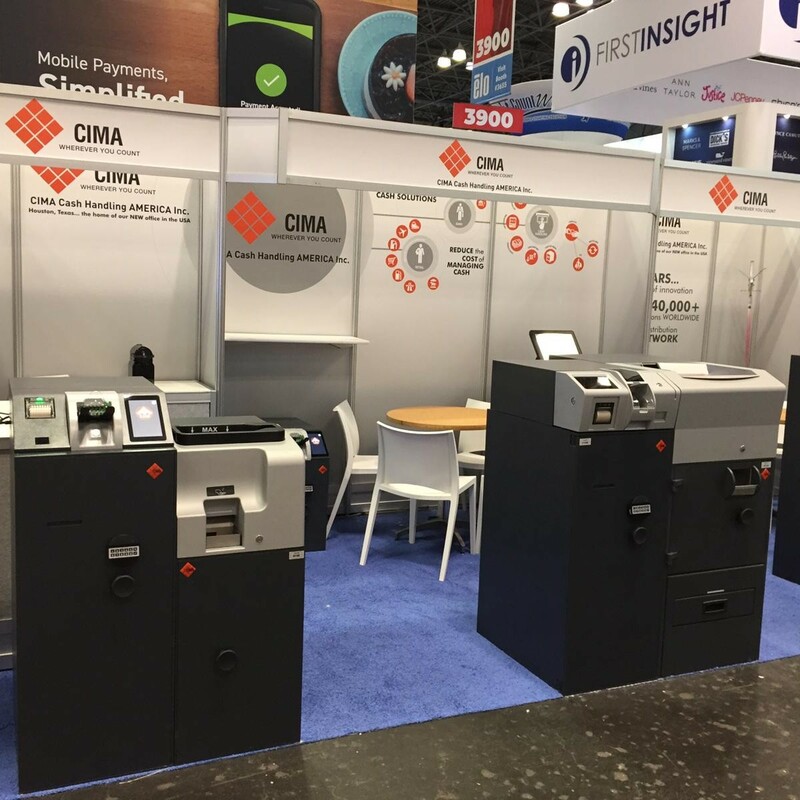 We’ll be waiting for you at booth #4164, where you will see the new cash handling products AST9000, CDS804, CDS804F, SDM505 and SDM100S 4K. 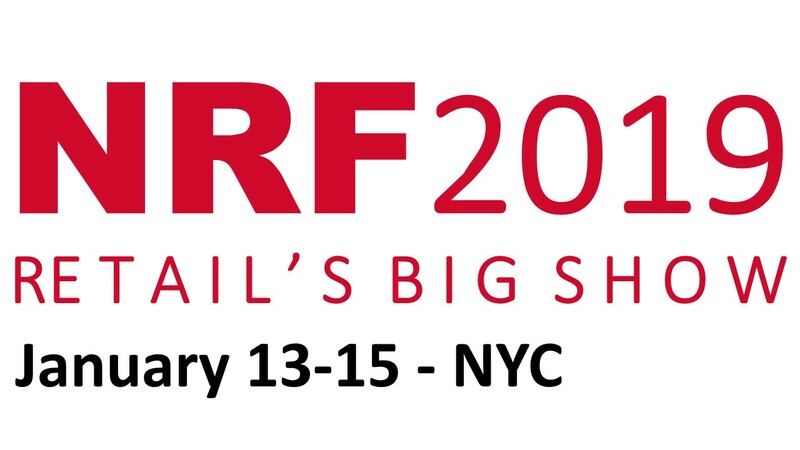 You’ll find us at booth #17. 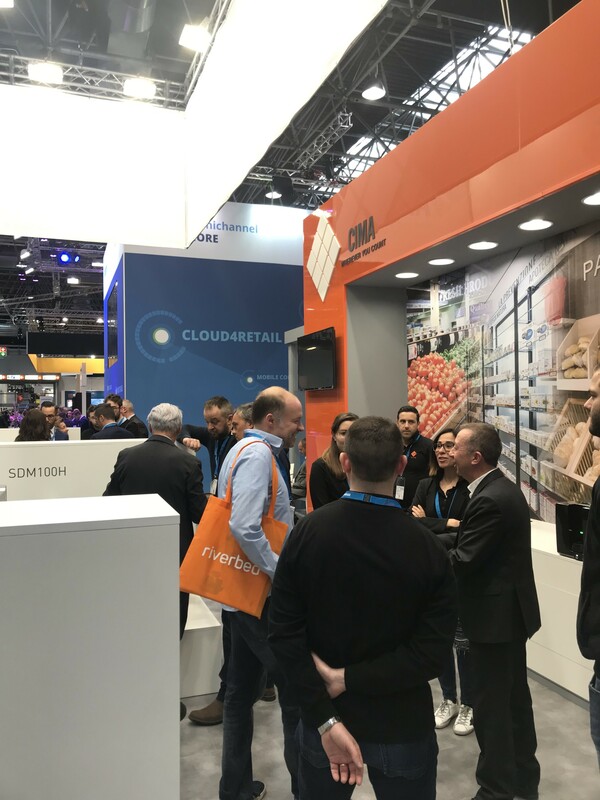 Here you can see some shots from our stand.